If your business is like most, you are grappling with data storage. 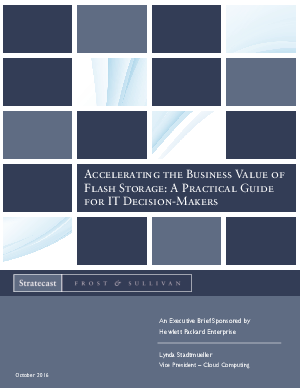 In an annual Frost & Sullivan survey of IT decision-makers, storage growth has been listed among top data center challenges for the past five years.2 With businesses collecting, replicating, and storing exponentially more data than ever before, simply acquiring sufficient storage capacity is a problem. Even more challenging is that businesses expect more from their stored data. Data is now recognized as a precious corporate asset and competitive differentiator: spawning new business models, new revenue streams, greater intelligence, streamlined operations, and lower costs. Booming market trends such as Internet of Things and Big Data analytics are generating new opportunities faster than IT organizations can prepare for them.